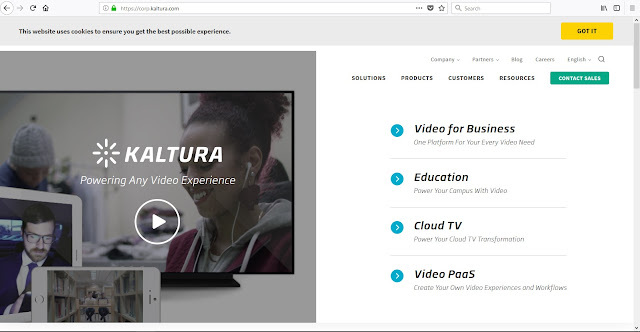 Kaltura has recently released the fifth iteration of its annual State of Video in Education report, a comprehensive international study that examines the evolving use of video in education. A total of 1,500 respondents undertook the online survey between April and May 2018, representing a 50% increase in the number of respondents from the previous survey in 2017. Favourable perceptions towards video technology have been boosted in recent years by readily available tools that facilitate video creation and consumption, along with the rise of a new generation of students that live and breath technology. With KPMG having determined innovation in the digital environment to be among the top concerns of business leaders in Australia, institutions are anticipated to increase their focus on equipping students with the digital skillsets necessary to excel in the modern workplace by integrating technologies such as video in education. More educators are incorporating video into their classrooms, with 26% of respondents sharing that more than half of their teachers regularly use video. Lecture capture is another major growth area for video, with 88% indicating they either use it or intend to in the future. While most use cases showed steady usage or slight increases, lecture capture usage has increased by 21% across the last two years. Educational institutions see a high ROI for video, with 92% believing video to play a key role in increasing student satisfaction with their learning experience. 97% of respondents think that interactive videos (in which content changes depending on viewer behaviour) is going to be important to education in the future.